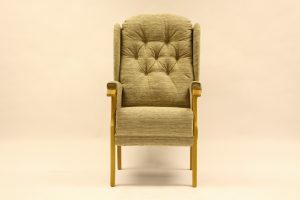 The HS1 is one of our most popular range of high seat chairs. 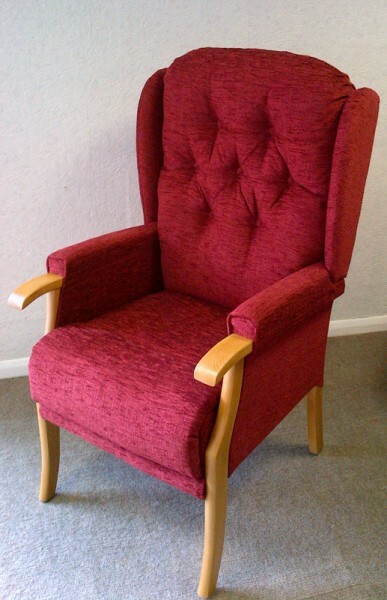 Available in a large range of fabrics, different seat heights & frame finishes. Coil sprung seat unit for added support & comfort. This model is available with or without the wing. Seat heights from 15″ to 21″ on most models.